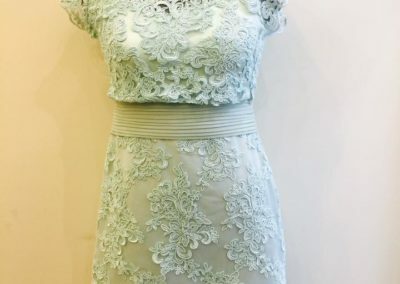 This fabulous fit and flare party dress features a v neck illusion bodice embellished with beautiful crystal lace appliqué. 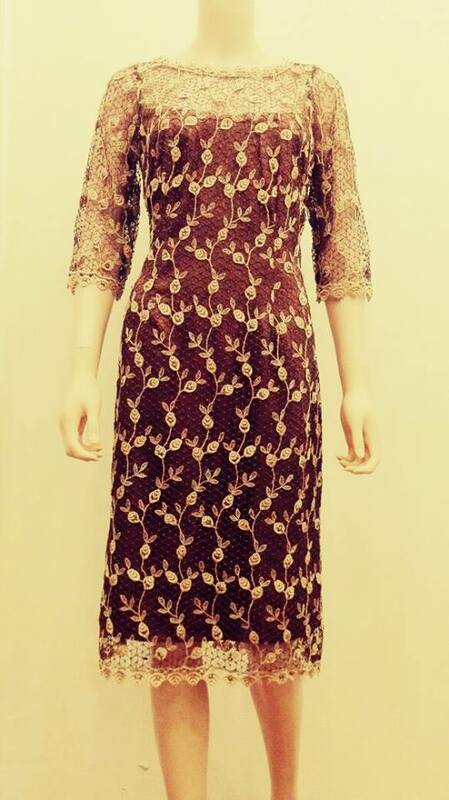 Brown cocktail dress Knee length wedding guest dress in lace, with contrasting brown satin lining. 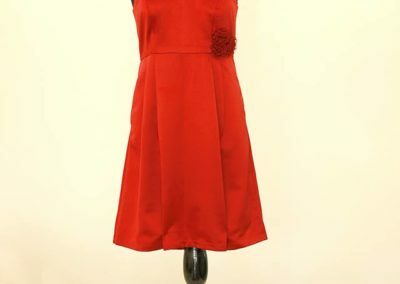 A well fitted dress with delicate scalloped edges at hem, sleeves and neckline. 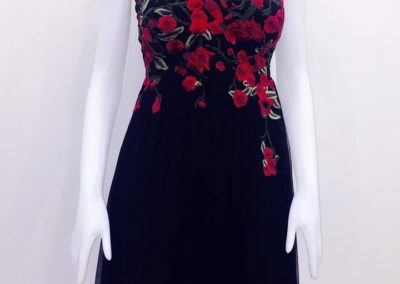 Chiffon red black dress An elegant black chiffon vintage style dress with pretty floral applique arranged beautifully from the sheer neckline to bodice and skirt of dress. 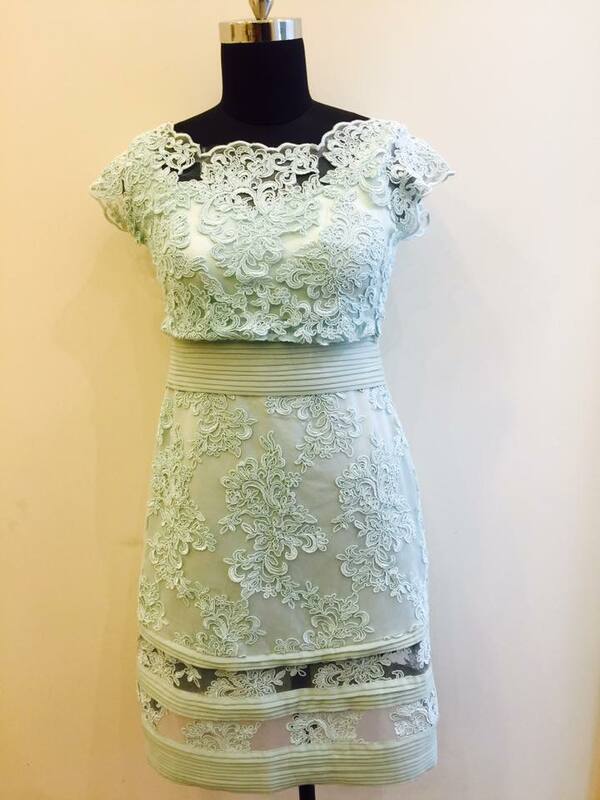 Green mint lace dress A lovely lace dress in a refreshing mint color. The fitted flared skirt and satin pleats around the waist, enhances the feminine silhouette. 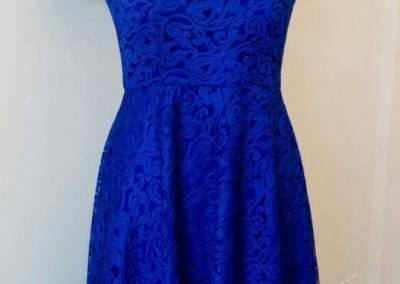 The perfect dress to wear to an early fall wedding! 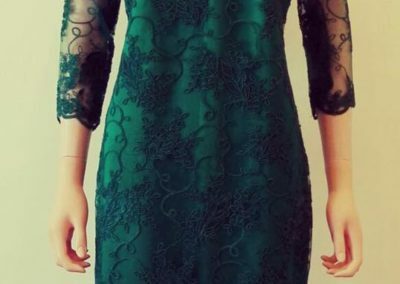 Green party dress Short party dress in emerald green satin lace. 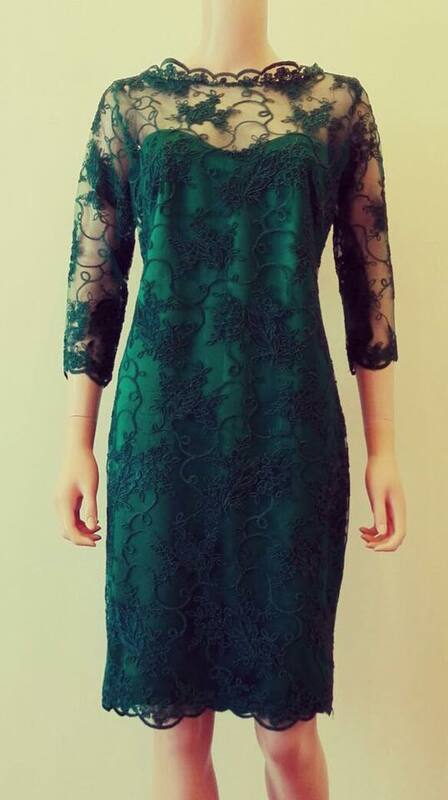 Sheer lace 3/4 sleeves with a boat neck, suitable for the festive season or any special occasion. 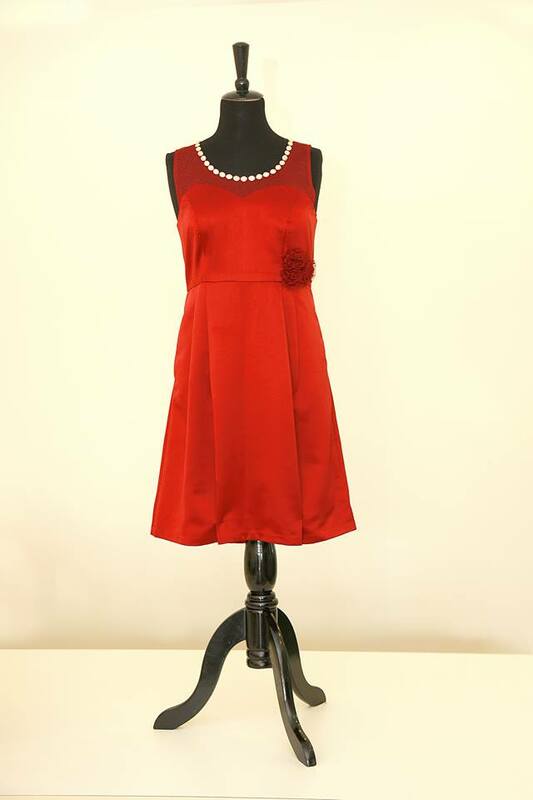 Red satin dress Cocktail dress in red satin, with sheer mesh and crystals beautifully arranged at neckline. 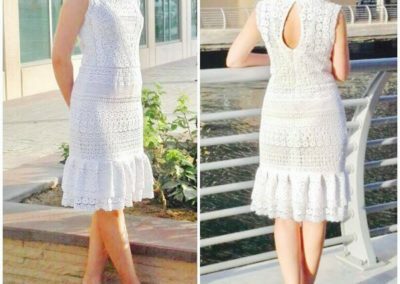 A beautiful off white lace dress with scalloped high neck and a deep v neckline. 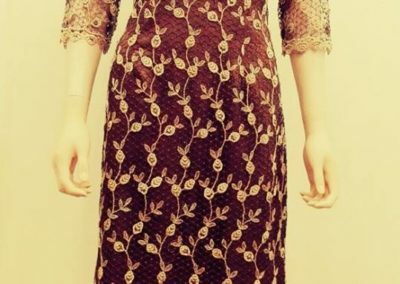 Perfect craftsmanship is evident in the careful cutting and placement of lace appliqué, truly unique and stylish. 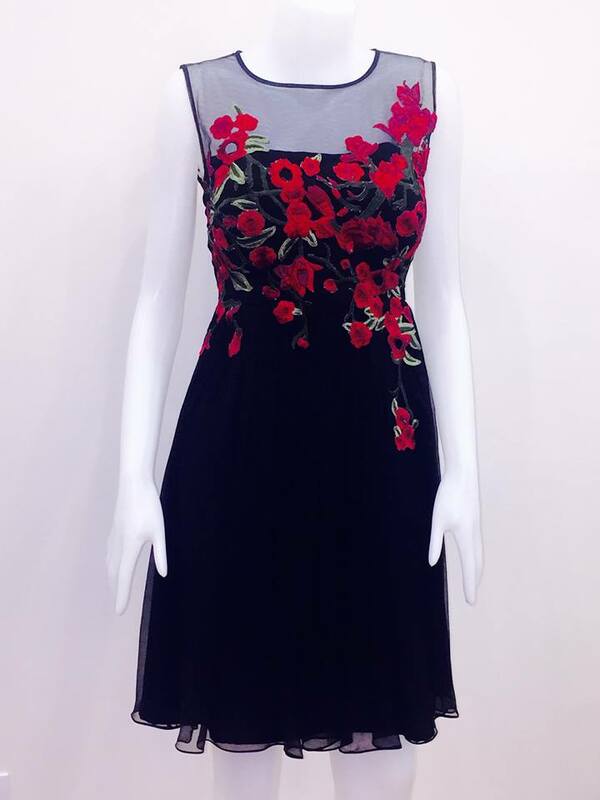 Call now to have this dress tailor made to your size, only at Rebekahs! 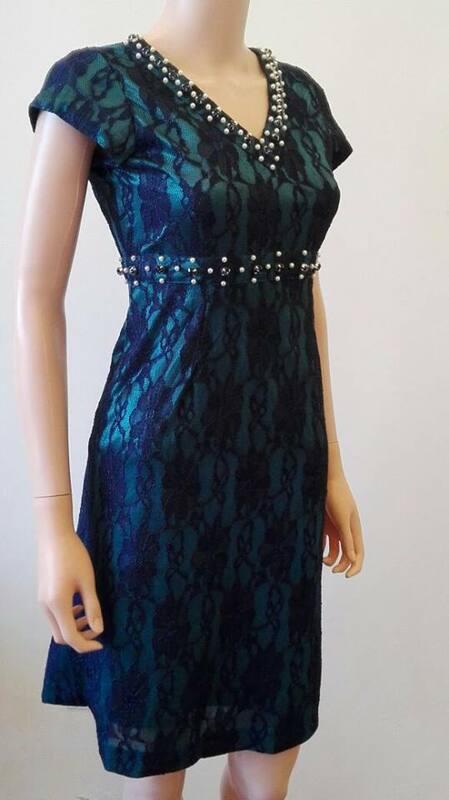 Blue lace satin dress Lustrous blue satin lace dress, shaped into a lovely fit-and-flare style detailed with dainty cap sleeves and scallops at the edges. 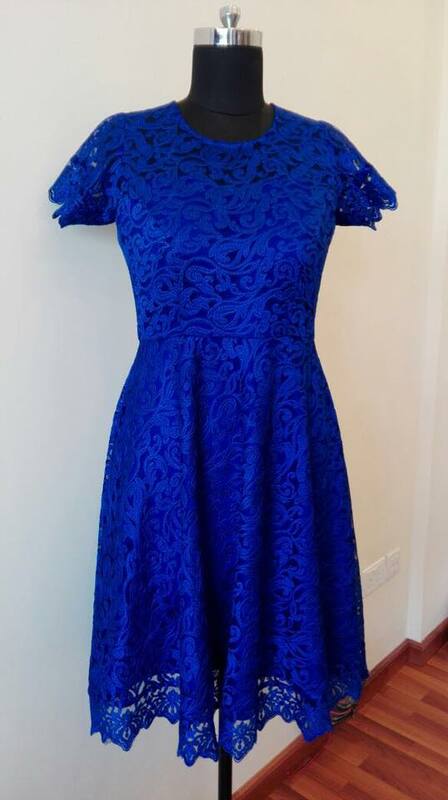 Our customer left happy and absolutely delighted with this beautiful, well fitted dress! 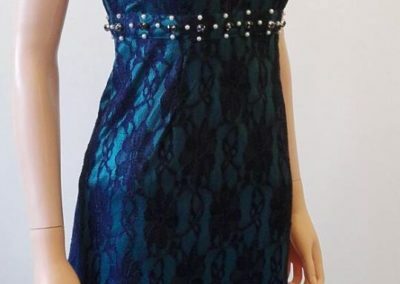 Classy cocktail dress in black lace, sequins hand stitched to round neckline, delicate scallops at hem.